Congratulations to the 2017 NatWest Encouraging Women into Franchising (EWIF) Award winners who were announced on 16th May! Attendees gathered in London for the annual event, from across the country and the franchise industry, to celebrate the successes of the finalists and winners. 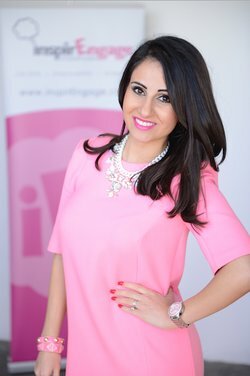 Guest speaker, Melody Hossaini, founder of InspirEngage, shared her experiences of being a business woman, an inspiration for more women to step into the world of business ownership. “Today was my first experience of being at an EWIF Awards Ceremony, it’s such a pleasure to be here. I think it’s so important for women to get involved in franchising. When women find themselves in situations where they want a bit more flexibility and perhaps want to make passion their career, they can look to the franchising model to help them become more economically active. I’ve had some really interesting conversations today with both franchisees and franchisors about their models and why they are passionate about getting more women into franchising. It’s been absolutely fascinating and such a pleasure to see the great work that EWIF does,” explained Melody. “Every year the NatWest EWIF awards get bigger and bigger and I can’t believe we’ve just finished our seventh Awards! EWIF membership is growing year-on-year, and each year sees record numbers of entries. This demonstrates how women are coming forward to shout about their achievements. For me, this means the EWIF cause is working it’s magic! I look forward to the awards every year and I’m always sad when it’s over. It’s lovely to see so many from within the franchise industry joining together to celebrate the winners’ and finalists’ achievements.” explains Clive Sawyer, CEO of EWIF and MD of Business Options. EWIF’s primary focus is to support women who are looking for a route into the franchise industry. Our remit is threefold; to encourage women to consider buying a franchise, to encourage business women to franchise their existing operations, and to help franchisors attract more women to their networks. We are a not for profit organisation run entirely by volunteers, providing advice and guidance to anyone looking at trying to break into the franchise industry. Every year, the NatWest Encouraging Women into Franchising (EWIF) awards celebrates the achievements of women in the franchise industry, recognising the hard work so many undertake daily – not just in running their own businesses, but in helping others succeed too. “It’s been yet another record year for the NatWest EWIF awards and the standard of entries has been raised yet again! I’d like to congratulate each and every one of our award finalists. Everyone who has entered was worthy of winning, so should be incredibly proud of what they have achieved. To be able to enter the EWIF awards is a triumph in itself. I’m looking forward to seeing everyone at the Award Ceremony and wish everyone the best of luck!” explains Clive Sawyer, CEO of EWIF. To find out more about our awards ceremony and book your FREE tickets visit www.ewif.org/natwest-ewif-awards. EWIF are pleased that to announce that the keynote speaker for this year’s awards will be the fantastic Melody Hossaini! Melody has a plethora of accolades to her name including ‘New Europe’s Most Influential Woman’ which was awarded to her by the European Parliament in 2015. She is the multi-award winning founder and CEO of InspirEngage International, one of the world’s leading organisations in skills training and people development. Melody was also a co-founder of U.K Youth Parliament at the age of 13, and continues to be a government advisor on enterprise and skills. Melody has also worked on a number of peace-implementation schemes with Archbishop Desmond Tutu, and has been trained by ex vice-president Al Gore on the topic of climate change at Cambridge University. In 2011, Melody beat 75,000 applicants to become a candidate on BBC’s ‘The Apprentice’, making history as the first ever (and til this day the only) social entrepreneur to compete on the show- making it to week 10 out of 12 with Lord Sugar describing her as “a woman of exceptional ability”. As a champion of women’s advancement, Melody has given training to hundreds of women in an effort to help them launch their own social enterprises. She is also a member of the prestigious CEO Champion's Group of FTSE 100 companies helping women to prosper. The NatWest EWIF Awards are the biggest event of the EWIF calendar and brings together people from all over the franchise industry to celebrate and recognise the successes of our fantastic award entrants. Hear Melody’s story at the ceremony which will be a highlight of what is already shaping up to be a stellar day. Find out more about the 2017 EWIF Awards and book your FREE ticket at https://www.ewif.org/natwest-ewif-awards. We are pleased to announce the Winner's of this year’s NatWest EWIF Awards! These awards are designed to celebrate the achievements of women throughout the franchise industry and help them to come together to recognise each other’s successes. Men and women from across the industry gathered to celebrate the winners and see them receive their awards. Caprice Bourret attended as the guest speaker this year to share her success story and inspire more women into business ownership. “We’ve been partnering these awards since the very beginning. Over that time, we’ve been honoured to be able to celebrate some fantastic achievements and examples of inspiring women across the industry. Entries for this year’s awards have been of the highest standard – reflecting the true impact that women are having in franchising. The professionalism and achievements of all the nominees is inspiring. They’re great examples of the kind of women we’ve been privileged to work with; women breaking into the industry and taking their futures in their own hands,” Andrew Taylor, UK Head of Leisure, Retail & Franchise at Natwest. “The 6th annual EWIF awards have been bigger than ever. We received a record number of entries and having read through each and every one myself, I was extremely impressed with the achievements of so many women in our industry. It’s encouraging to see more and more women coming forward to recognise and celebrate their own achievements. Every year we see more women attend and enter the awards and it shows that our cause is continuing to gain traction and momentum,” explains Clive Sawyer, CEO of EWIF.